Collection for he’s debut Kingdom of Gravity. He is a Cave Canem Graduate Fellow, Malika’s Kitchen Fellow and Complete Works Alumni. 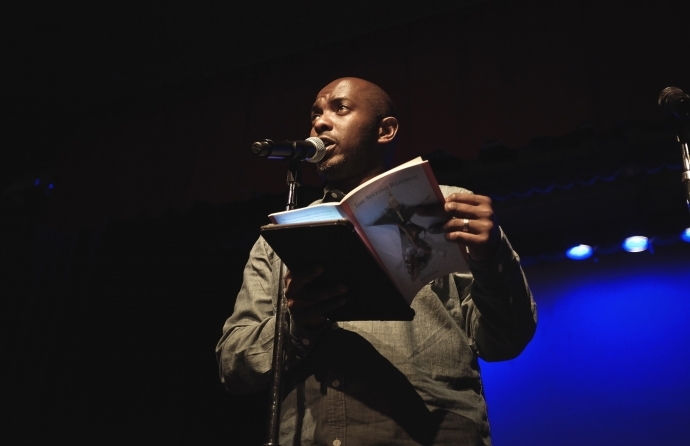 He won the 2015 Brunel International African Poetry prize and is the 2016 winner of the Toi Derricotte & Cornelius Eady Chapbook Prize for his pamphlet Resurrection Man. His poems appeared in The New York Times, Poetry Review, Rialto, Poetry London, Triquarterly Review, Boston Review, Callaloo, and Wasafiri. His poem ‘Vista’ was used as part of a video installation to promote the Turner prize in 2008 for Tate Remix. His poem “Beatitude” is included in Being Human the third book in the Staying Alive poetry trilogy. In 2005 award winning publisher Flippedeye launched its pamphlet series with his debut The Lost Collection of an Invisible Man. He is a Trustee for the Arvon Foundation and a member of the Malika’s Poetry Kitchen collective. Born in Uganda, Nick Makoha fled the country with his mother, as a result of the political overtones that arose from the civil war during the Idi Amin dictatorship. He has lived in Kenya, Saudi Arabia and currently resides in London. He has presented his work at many international events and toured for the British Council in Finland, Czech Republic, the US and the Netherlands. Nick’s 1-person- show My Father Other Superheroes fuses traditional theatre with contemporary spoken word &amp; intense physicality to tackle the universal subjects of fatherhood, loss, heroes and hope. Along with a graphic novel and short film special events were created around it these included a Superhero Run, Midnight Run and a Hero’s online digital diary. Nick contributed to the critically acclaimed Spalding Suite (2014) A new dance theatre show inspired by the UK’s basketball subculture, conceived by Inua Ellams & directed by Benji. Mixing poetry, spoken word, storytelling and live music with elements of hip-hop and choreography influenced by the game, The Spalding Suite examines the British response to a very American game. 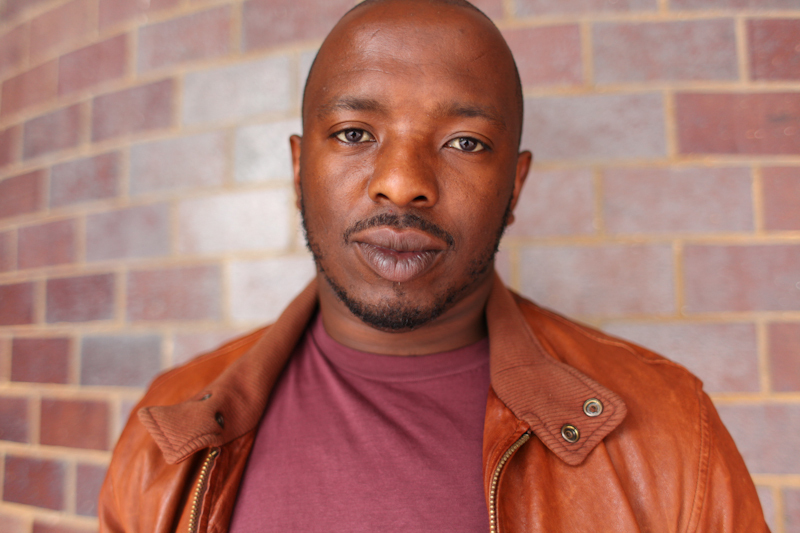 He is working to create an in depth online digital archive of the Metic experiences of Black British Writers alongside Maura Dooley and Professor Joan Anim-Addo. The term ‘Metic’, first used by T S Eliot, translates as foreigners or resident aliens whose allegiances are split between their homeland and their new country. Re:Play is a new development programme I devised for up to five advanced Black, Asian and minority ethnic writer-performers interested in developing, and performing, a 1-person show addressing a critical social issue. The idea is to build a model of best practice for 1-person shows and have both a digital and lethal achieve of great work for future 1-person show practitioners. Mission – To create platform for writers/creatives to further develop their abilities in a larger community of their peers and provides avenues for further development with link organisations. We aim to transform people’s relationship to language, as it does not only exist on the page. When equipped with full self-expression through one’s senses the pursuit of excellence in one’s life, works not just as a good idea but as a way of being. When people feel they fit and belong they can become a tool of social change and catalyst to the creative economy within the international community. We are thrilled to announce that the Forward Prize judges have selected Nick Makoha’s Kingdom of Gravity (Peepal Tree Press) for the 2017 Felix Dennis Prize for Best First Collection. Makoha’s graceful and timely poems demonstrate the power of the best literature to speak of difficult things in a way that enlightens, not merely horrifies. 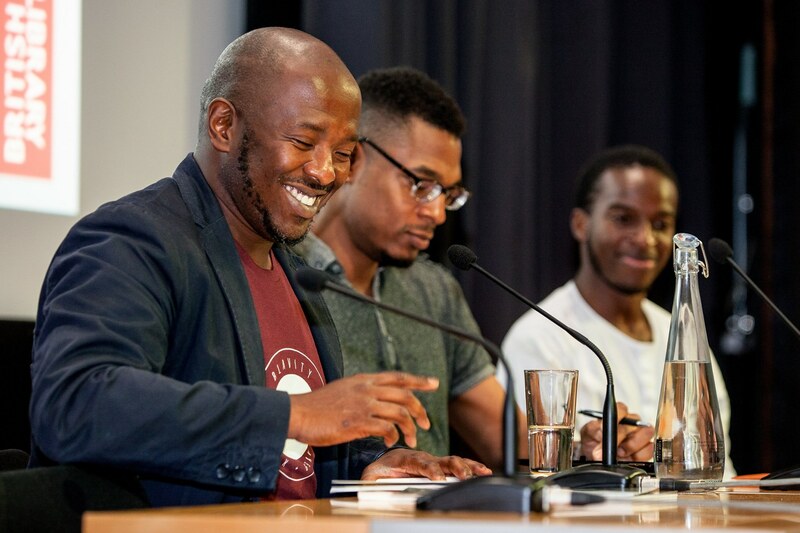 The care in the making and shaping of the poems bears witness to the evident fact that, for Nick Makoha, poetry became ‘a sanctuary from which I can repair the ruins’. In narrative terms, the collection reveals the lived truth of Uganda’s civil war, but Makoha’s work does not follow any kind of prescription for trauma narratives. At their heart is an unwavering curiosity about how people behave in extreme situations, and what this reveals about our common human capacities to indulge grandiose visions, betray our own beliefs, seek revenge and even kill. Peepal Tree’s Managing Editor, Jeremy Poynting said ‘We are delighted that the Forward judges have recognised the outstanding quality of Nick’s poems. Peepal Tree’s associate poetry editor, Kwame Dawes and I had no hesitation in snapping up this breathtakingly ambitious and beautiful collection. This year’s shortlist for the Felix Dennis Prize is particularly strong, and we are honoured to have one of our poets in such fine company. The collection has received glowing praise from leading African American poet Terrance Hayes, who says “Nick Makoha’s poems animate in the space between story and song. His sentences unwind full of ‘axe heads, shanks, short rope, blades, some poison and all its animal understanding.’ His imagery and insights are strung along an electrified syntax. He writes, ‘You will try to make sense of the terrain, its limits on reality, its secondary sounds – the crickets speaking pure rhetoric.’ I find the terrains of his thinking and feeling breathtaking. Kingdom Of Gravity is truly an amazing debut.” The title poem, ‘Kingdom of Gravity’ is one of three poems that won Makoha a 2015 Brunel University African Poetry Prize. Peepal Tree Press is no stranger to Forward Prize success. In 1995 the prize was won by Kwame Dawes with his first collection of poems, Progeny of Air, and the 2016 Felix Dennis Prize was won by Tiphanie Yanique for Wife. Both Loretta Collins Klobah (The Twelve Foot Neon Woman) and Christian Campbell (Running the Dusk) have both made previous shortlists. 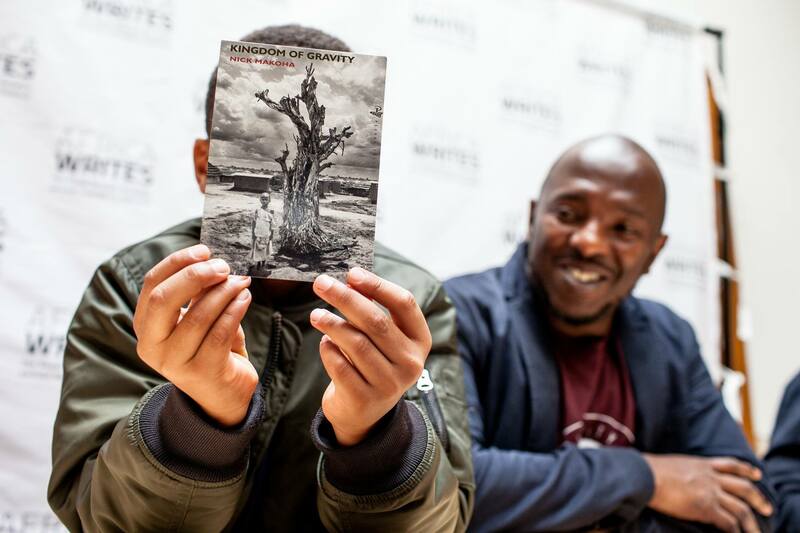 Kingdom of Gravity was launched in London on 1 July at Africa Writes alongside Kayo Chingonyi’s Kumukanda. The poets presented their debut collections in conversation with Terrance Hayes. Kingdom of Gravity is published by Peepal Tree Press. RRP: £8.99. 82pp. ISBN:9781845233334.
e: adam@peepaltreepress.com t: 0113 2451703.